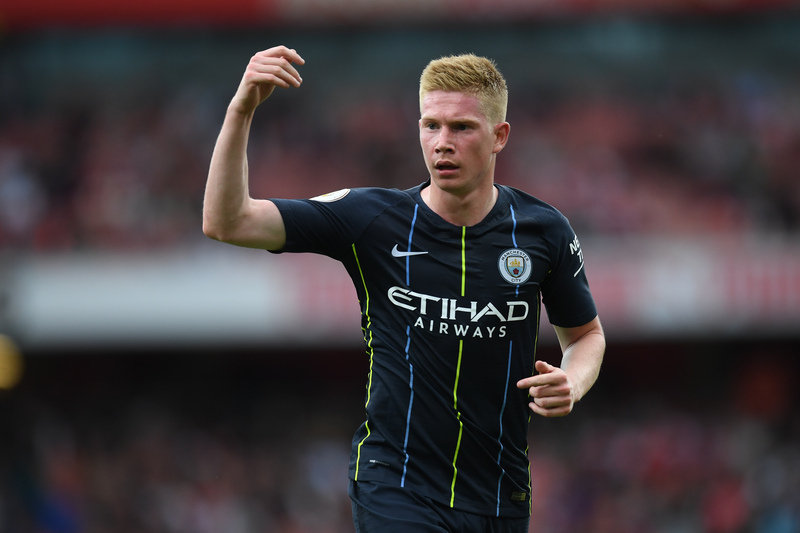 Kevin De Bruyne has suffered a knee injury in training and looks set for a period on the sidelines, Manchester City confirmed. "Kevin De Bruyne is undergoing tests on his right knee after sustaining an injury at training on Wednesday," read a brief statement from City. "The extent of the problem is not yet known and we will bring you further updates on Kevin's condition in due course." On that occasion, De Bruyne missed 10 weeks of action — including the 2015-16 EFL Cup final — and City's title challenge subsequently collapsed. He may even miss the trip to Liverpool on Oct. 7.